Innovation is Wärtsilä’s middle name. This is reflected in all the newly-opened knowledge centres. For example, the Finnish headquarters moved at the beginning of November to the hyper-modern Wärtsilä Helsinki Campus. In addition, three new centres, each with specific expertise, opened their doors: the International Maritime Cyber Centre of Excellence (Singapore) for cyber security, the Acceleration Centre (Singapore) for harbour innovation and the Wärtsilä Hybrid Centre (Trieste) that researches the possibilities of sustainable transport. And if that’s not enough, Wärtsilä is also planning a Smart Technology Hub in Vaasa, which is expected to open in 2020. The office of the future - you could easily put this label on Wärtsilä’s Helsinki Campus. The brand-new international headquarters was designed in close collaboration with the employees. The result? A spacious and sustainably-built office full of the latest technology. In addition to flex workplaces and concentration places, workplaces have also been installed that challenge people to innovate and to develop ideas. Colleagues find these places – and each other – via the SmartHouse app, with which malfunctions can also be reported. Sensors measure interior conditions and adapt these wherever necessary. Data about temperature and energy consumption, for example, are available to all personnel. Sustainable energy is used: solar, water and wind. One part of the campus is the Wärtsilä Experience Center, where visitors and interested parties can see Wärtsilä products in operation – on a cruise ship or in a power station, for example – but virtually. The world's very first International Maritime Cyber Centre of Excellence (IMCCE) contains the Maritime Cyber Emergency Response Team (MCERT) and a Cyber Academy. The IMCCE was set up together with Templar Executives. The centre will contribute to cyber awareness and the response to cyber incidents. Cyber is an important topic for the maritime industry. ... because the sector is vulnerable in the event of a cyberattack, and because the maritime sector is an important part of the infrastructure of countries that are under fire, and because the sector has to deal with regulations that are still under development. The MCERT component is an international platform that contributes to the cyber-resilience of the entire maritime ecosystem. MCERT is available to the entire maritime sector worldwide and operates based on membership. MCERT informs, advises and supports in the event of cyberattacks. It also provides members with access to the Cyber Security Reporting Portal (CSRP). The Cyber Academy component offers various courses on cyber-related topics. Industry, knowledge institutes and local partners work together on innovation in the new Acceleration Centre. The objective is to reinforce and develop Singapore's maritime ecosystem. 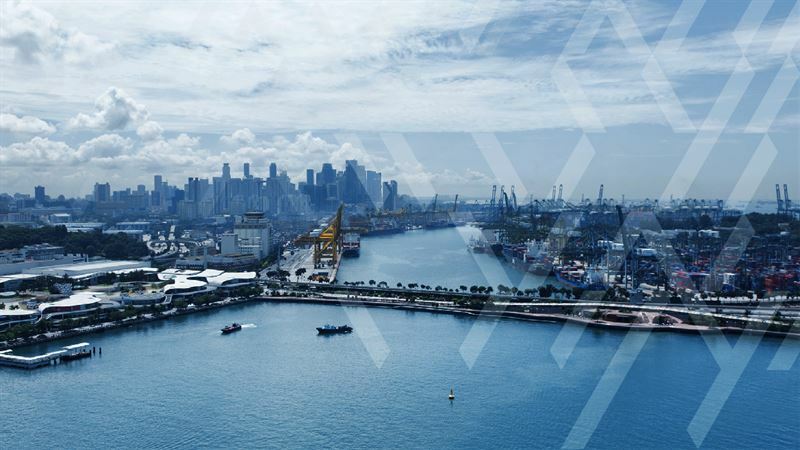 The opening of the centre is a result of the agreement that Maritime and Port Authority of Singapore (MPA) and Wärtsilä signed in April 2018, in which parties agreed to cooperate on the development of intelligent vessels, intelligent harbour facilities, safety and digital acceleration. The first project at the Acceleration Centre is the development of the Wärtsilä IntelliTug, a tugboat that can navigate autonomously through the use of the very latest technologies such as an advanced radar system and video analysis. The deployment of the sustainable IntelliTug should result in more safety and efficiency and reduced workload in the harbour. During the course of 2019, Wärtsilä, together with its development partners MPA and PSA Marine will test the IntelliTug in the busy waters of Singapore. Wärtsilä opened the world's first Hybrid Centre in Trieste, Italy. Here, further work takes place on Wärtsilä's HY hybrid power module. Customers can discover what the Wärtsilä HY can do for them, and the new centre also functions as a training location. The centre has everything needed to make the experience with the Wärtsilä HY as complete and realistic as possible. The expectation is that the opportunity to experience the Wärtsilä HY in full will lead to accelerated penetration of hybrid technology in the maritime world. The centre contributes in this way to making the sector more sustainable. The centre also contributes on a smaller scale: the energy generated by the centre is returned to the factory's electrical grid in Trieste. The Smart Technology Hub will be a centre for research, product development and production and is currently being built in Vaasa (Finland). In 2020, Wärtsilä Vaasa will move to the new hub together with the logistics and maintenance workplaces currently in Runsor. Wärtsilä invests hugely in modern testing and production technology. The Smart Technology Hub will be an inspiring environment for new ideas. At the hub, Wärtsilä continues to work on intelligent shipping and an intelligent energy sector. But the company is not alone in this: the intention is to have the hub function as a partner campus at which customers and suppliers, start-ups and universities can carry out research and product development together with Wärtsilä.